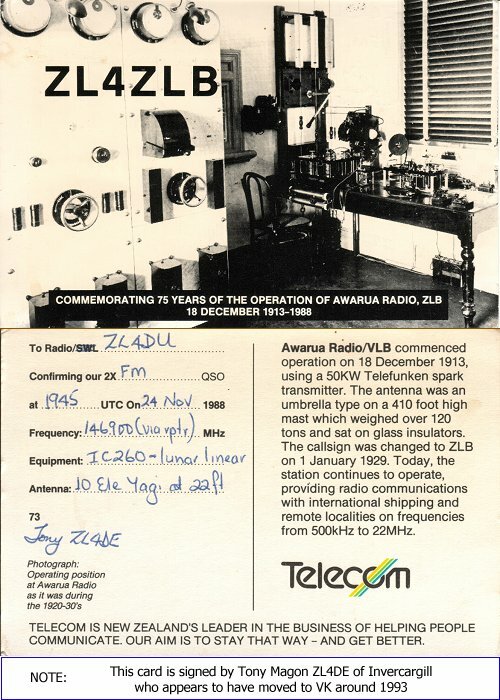 A special amateur radio callsign, ZL4ZLB, was used in 1988 to mark the ZLB anniversary, and a special QSL card, shown below, was produced. 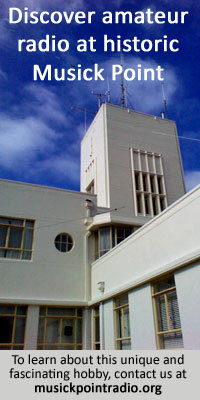 The photograph of the original operating position is not Awarua Radio, but rather Pennant Hills station near Sydney. The power of the original Telefunken spark gap transmitter was not 50kW. It was 30kW input and 15kW aerial power (output). The tower did not weigh 120 tons, although this figure is often seen quoted as a “base weight” figure. The actual tower weighed 60 tons – or less according to some calculations. The tower was probably not quite 410 feet high. The most commonly quoted heights for the tower are 394 feet and “around 400 feet”. The date of callsign change from VLB to ZLB may not be correct. It may have been 1927 (this needs further research). 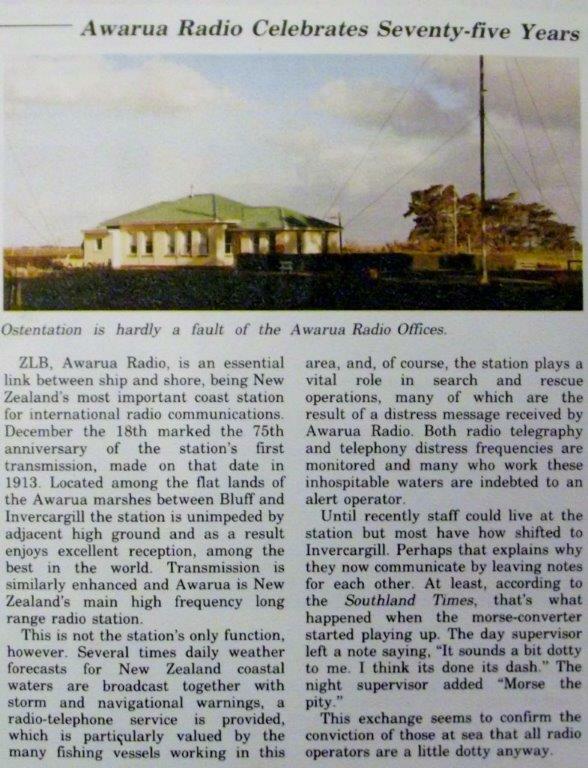 Awarua Radio survived only three more years after celebrating its 75th anniversary.